Throughout your working years, you strived to maintain good credit. 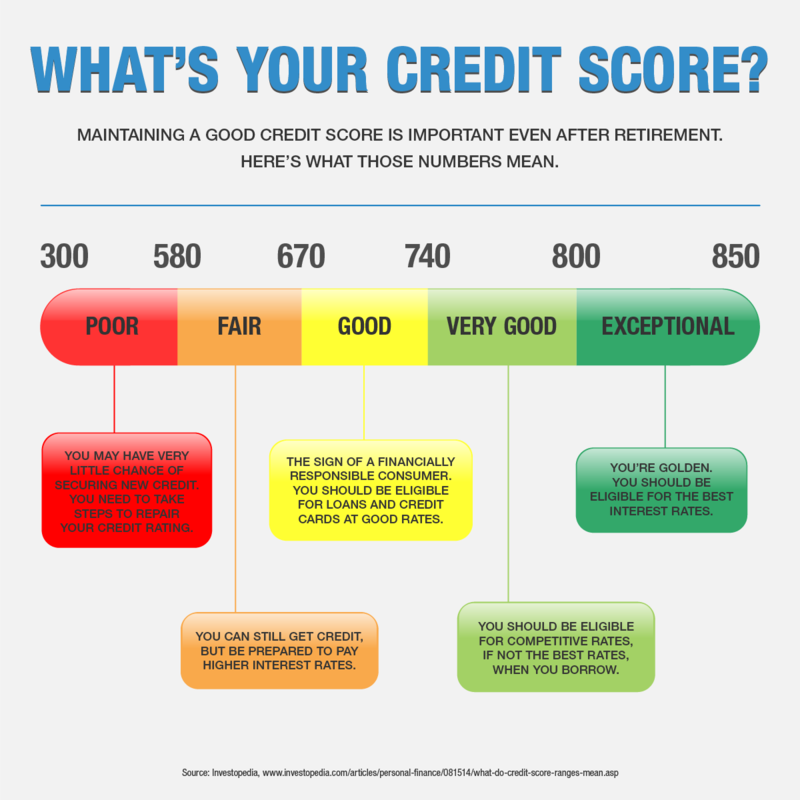 But if you’re retired, or about to retire, is a good credit score that important? The answer is yes, according to many financial experts. You don’t want to be burdened with debt in your retirement years, but you may need to get a get a car loan or refinance a mortgage. A good credit score will assure you can borrow the money at a decent interest rate. But your credit score can affect you even if you don’t borrow money. 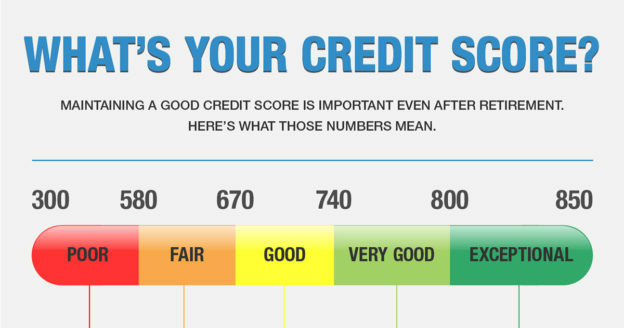 A bad credit score could prevent you from landing a job or renting an apartment. It could even force you to pay higher insurance premiums. Fortunately, maintaining a good credit score is not that difficult. In most cases, it’s a matter of continuing what you’ve already been doing. Pay your bills on time. Your payment history accounts for about a third of your credit score. Don’t max out your credit cards. The ratio of debt to available credit is also a big factor. If all your credit cards have balances near the limit, your credit score will suffer. Don’t close credit card accounts you’ve had for a long time. These accounts show your long history of being responsible with credit, helping to boost your score. Charge something. Getting off the credit grid entirely can hurt your rating. So use a credit card regularly for some purchases. If you pay off the balance each month, you’ll avoid interest. Things like age and salary are not part of the credit score equation, so being retired does not hurt your score. However, lenders do take income into account when you apply for a loan, so you may find it harder to borrow after retirement, even if you have good credit. Content last revised January 23, 2019. This entry was posted in General News and tagged credit, credit report, credit score, Financial Planning, good credit, New York State & Local Retirement System, NYSLRS, retirement, retirement planning on January 23, 2019 by NYSLRS.